How to Use a CNC Machine to Create Wooden Furniture? Yes, CNC machining services are so versatile that you can create your own custom-made furniture with them. Either as an enthusiast or an entrepreneur, you can use these services to create solid furniture using wooden panels of various types, shapes, and forms. While the challenge is manageable, the hardships are just the same as working with metals. If you are wondering why it all comes down to chipping. CNC machines are essentially cutting tools, and these types of devices work on panels that need to have certain conditions to make them manageable such as flat surfaces to avoid rolls or burs. There are way too many people crafting furniture using MDF these days. It has become a material of standard issue because it’s way cheaper than actual wood. The problem with MDF is that it’s an artificial panel of pressed wood with chemicals and hot glues. The chipping created by MDF makes CNC machines work slower, even with state of the art maintenance done between work cycles. Real wood certainly cost a lot more these days due to environmental issues, but if you are looking to create something that it’s one of a kind, you should probably consider stronger materials such as Oak, Beech or Maple. It should go without saying, but using unsharpened CNC machinery on wood will affect the finished product greatly. Unsharpened tools create a lot of chipping and will just endanger the condition of the tool making the maintenance process much more expensive than it should. If you lose more than one panel of wood due to the lack of sharpness of the cutting blades you need to stop right there and get the machine to work properly. Before starting to work you need to make sure that the spindle is set at the right speed depending on the material you are working with. The spindle handles the movement of the blades and setting the wrong could bring issues to your project. Medium-high speeds are right for MDF or any type of pressed wooden material, but strongest woods require the higher settings to cut through them like butter. A working CNC machine that has been fixed with the proper settings and has been checked for performance should be able to handle the feed of material with no problems. 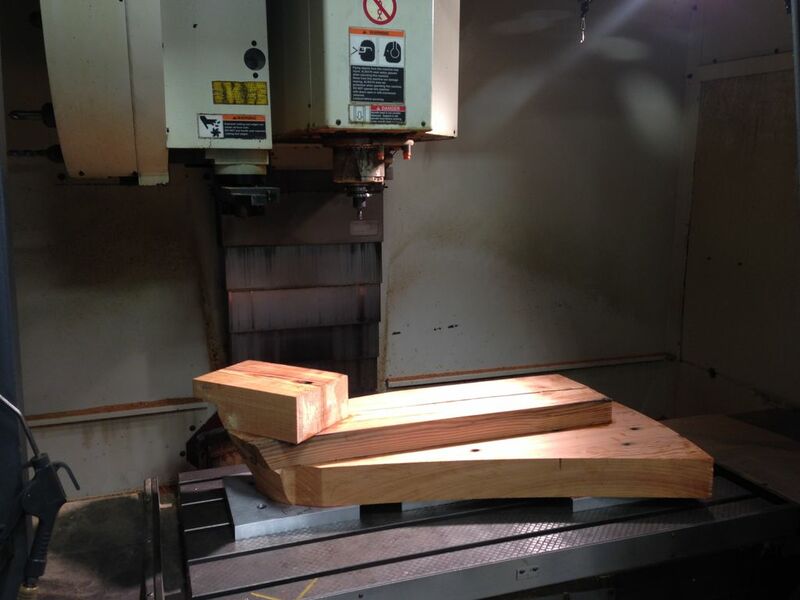 But lighter woods are prone to move in the feed as they go through the CNC machine. This will make the panel vulnerable to failed absorption by the equipment, and the result will be a botched cutting job that no one will be able to use. This recommendation is important if you are budget-conscious about your production run or if you are working with high-end woods.